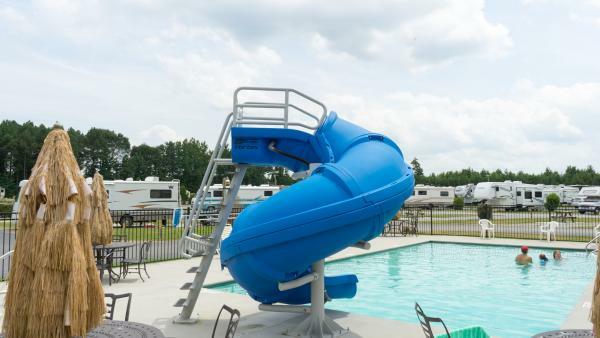 Open at Exit 171 off I-95, enjoy RV camping at The Festival Park at Carolina Crossroads, an entertainment facility in Roanoke Rapids. Nearby attractions include Carolina Crossroads, Historic Halifax and the Roanoke River. 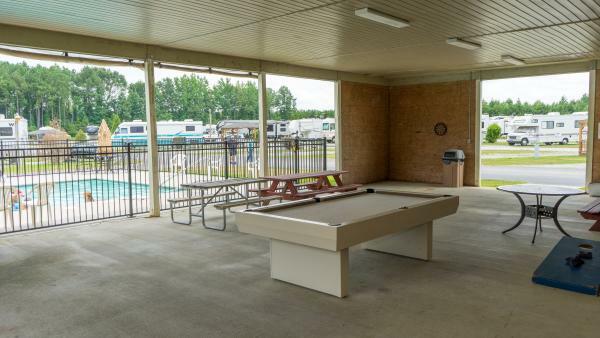 Free wi-fi Internet access, cable TV, full hook-ups, propane, handicapped access throughout the park, 89 sites with picnic tables (some with gazebos), heated outdoor pool, 9-hole mini-golf course, game room with arcade games and pool table, pirate ship play area, on-site laundromat and shower facilities. Special campsites for big rigs. 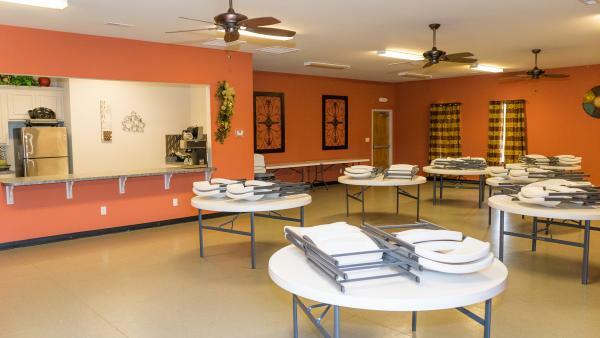 The meeting/event space seats 80 and features a full kitchen. Now offering five fully-furnished cabins. 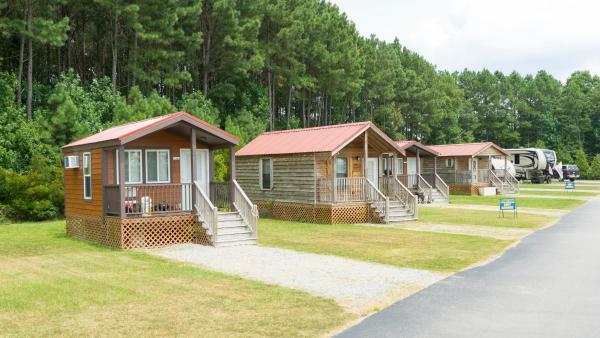 Two cabins feature a queen-sized bed, set of bunk beds and half-bath, ideal for a family with children. Two have a queen-sized bed, full bath and small kitchen area. 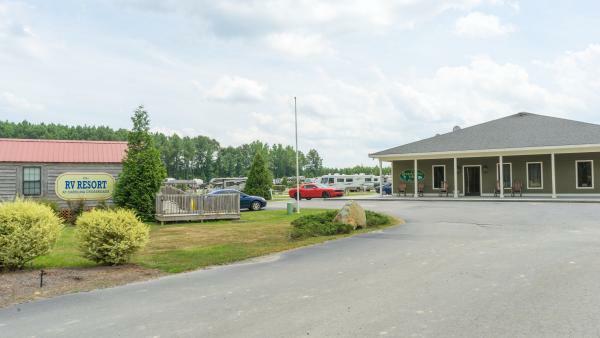 One offers two queen-sized beds, a full bath and kitchen area.